Assessing occupational exposure limits for mixtures of noise and other ototoxicants is one strategic objective to prevent work-related hearing loss identified in a new draft National Occupational Research Agenda published by NIOSH. According to the agency, noise exposures affect approximately 22 million U.S. workers, and an estimated 5 to 10 million workers are exposed to combinations of noise and ototoxic organic solvents such as toluene, xylene, styrene, trichloroethylene, and carbon disulfide. Previous research shows that other chemicals, heavy metals, and asphyxiants are ototoxic and have potentially synergistic interactions with noise. 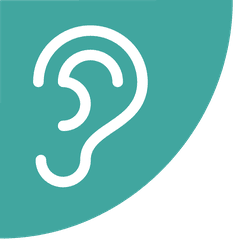 NIOSH stresses that continued research is needed to identify the metabolic pathways of solvent-induced hearing loss and its interaction with noise-induced hearing loss. “Chemical exposure limits may not be appropriate when the mixed exposure is present,” the draft NORA agenda states. “Further research is necessary to establish adequate exposure limits for mixed exposures.” NIOSH’s draft agenda also describes the need to develop effective, evidence-based education designed to improve hearing conservation program outcomes for exposed workers and management. Other strategic objectives include developing, commercializing, and implementing noise control solutions on job sites in key industries; developing audiological tests for hearing loss prevention; and improving occupational hearing loss surveillance. The draft research agenda is available as a PDF in the docket on Regulations.gov.